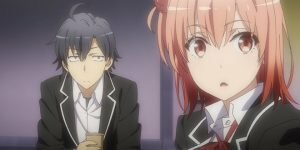 As part of this year’s AnimeJapan, a first promotional video and another visual for the upcoming third season of the anime series “My Teen Romantic Comedy SNAFU” (Japanese: “Yahari Ore no Seishun Love Comedy wa Machigatteiru” or short “OreGairu”) were released today. You can see both in the article below. 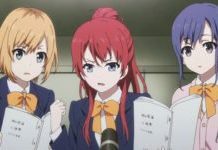 The first season of the series was produced at Studio Brain’s Base under the direction of Ai Yoshimura and was broadcast on Japanese television in the spring 2013 season. A second season of Studio feel. followed two years later. 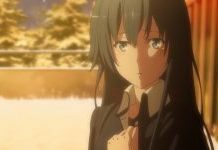 It is still unclear when the third season will start. The anime has not yet been licensed in this country. Author Wataru Watari started the Romance Comedy series in March 2011. The 14th and last volume was originally scheduled to be released in Japan on March 19, 2019.